Heidi: How many days were on location? 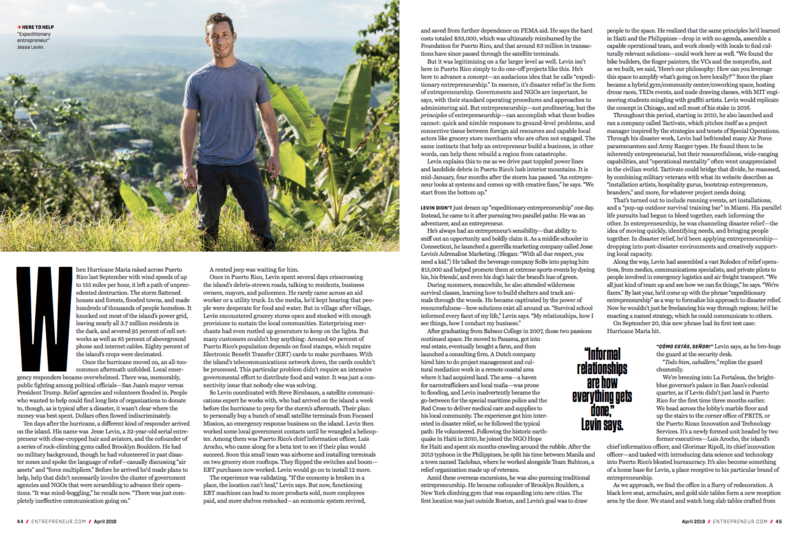 Andy: I was in Puerto Rico for 4 days. What was the most challenging obstacle during the shoot? The fact that much of the compelling action in the story (the actual hurricane relief and recovery work that the subject of the story was involved in) had already taken place several weeks before I arrived! So I really didn’t know what I’d be able get on the ground – basically, I was winging it. As it happened, I spent most of the time joining the subject of the story for casual meetings with people in unremarkable locations, so I just had to grab pictures along the way: from the rooftop of an office building in Old San Juan after one meeting, inside an office within the Governor’s mansion on another occasion, etc. Had you been to Puerto Rico before? Did you have a guide on location? 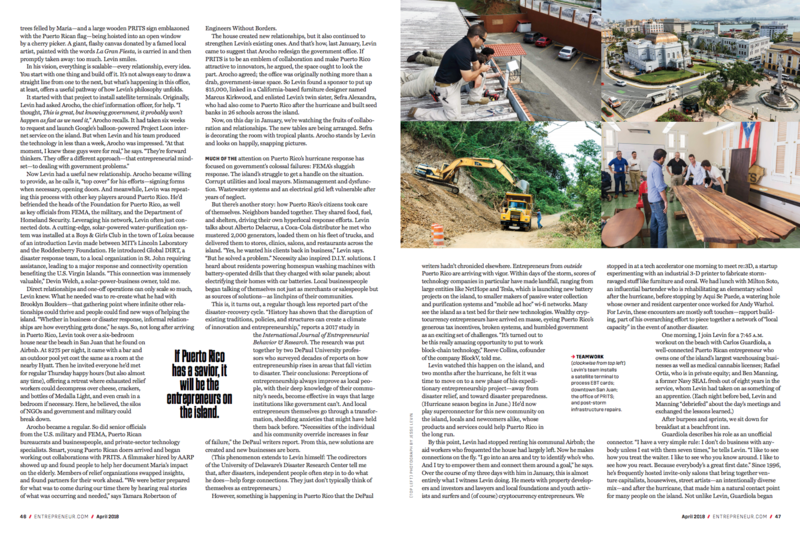 I’d never been to Puerto Rico before, and I leaned heavily on my guide, who was also the subject of the story– Jesse Levin, an entrepreneur and volunteer disaster relief worker. I shadowed Levin as he bounced around San Juan to different meetings, but he’d also arranged for me, as the author of the story, to meet characters that might be helpful sources. On my last afternoon he drove me through the island’s rural interior, and we poked around the mountains, which still bore plenty of evidence of the storm’s wrath. What was the direction from the magazine? None, really. As the reporter and writer on the story, I was also driving the photography on the fly. 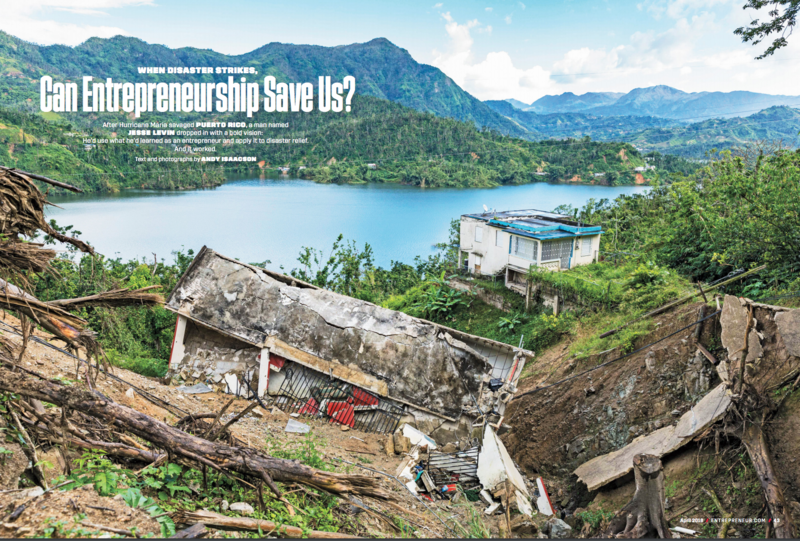 However, there were two essential shots that I wanted to come home with: a portrait of Levin, and an image that conveyed the hurricane’s devastation (which was not so easy to find in the capital, four months after the storm, where I did all of my reporting). 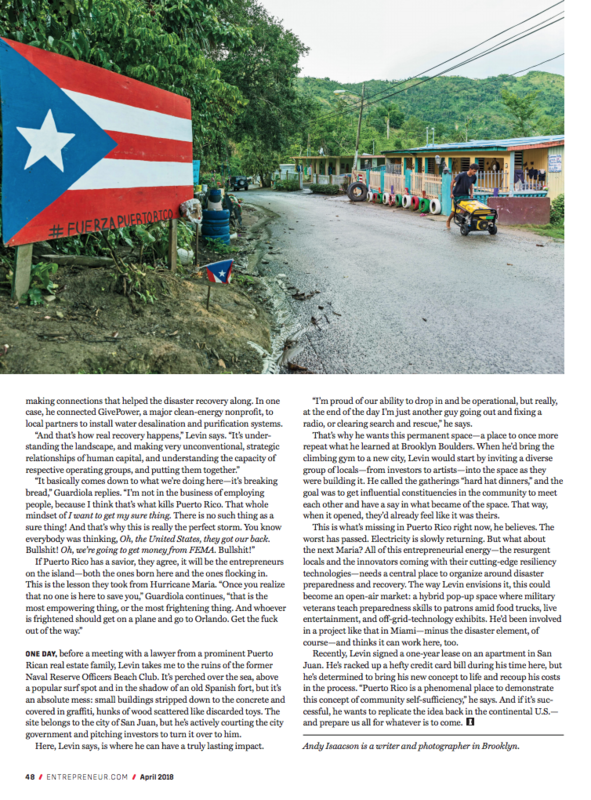 On our drive through the island’s mountains, on that final afternoon, I finally was able to get my portrait of Levin, in the late afternoon (in between rain showers), and also, fortuitously, that picture–from the side of a mashed up road– that conveyed the hurricane’s damages. You are often a photographer/reporter for projects, what other tasks do you find yourself doing? 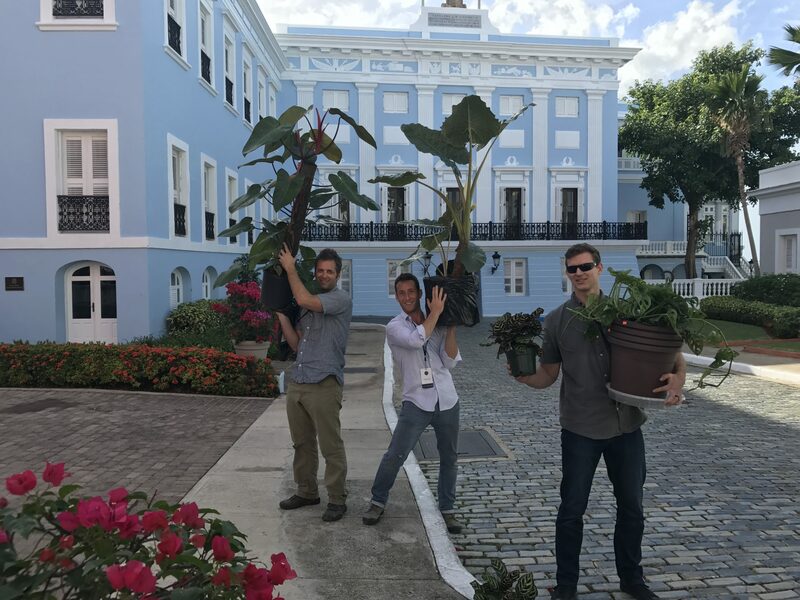 Carrying house plants into the Puerto Rican Governors Mansion was different. My subject has been granted permission to redesign a government innovation office in an effort to make it more reflective of SF startup culture.